Wow! That Copenhagen package really worked. Global warming has been dramatically reversed. 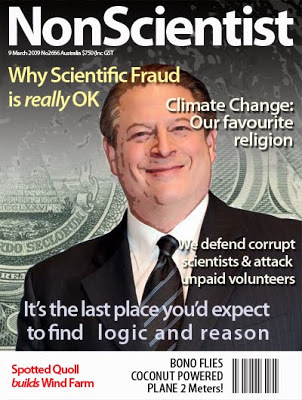 In fact, if Al Gore could see his way to turning the heat back up just a little, most of us would be deeply appreciative… “Climate science” is the oxymoron of the century. There is not a city, town or hamlet in the country that has had its weather conditions correctly forecast, over periods as short as 12 hours, during the past week. This is the “exceptionally mild winter” that the climate change buffoons warned us would occur as a consequence of global warming. Their credibility is 20 degrees below zero. Yet nothing shames them, nothing persuades them to come out of the bunker with their hands high and “fess up”. Patronisingly fobbing off the public with fabricated excuses has become second nature to them. Latterly they have been concocting alibis about the Gulf Stream to explain Britain’s Arctic conditions. Uh-huh? Is it the Gulf Stream that has frozen the Vistula and given Poland a temperature of –25C? Is it the Gulf Stream that has caused the worst blizzards in Beijing since 1951? The entire Northern Hemisphere is frozen. The world looks like a Christmas pudding with icing on the top. That is completely normal, part of the random climate fluctuations with which our ancestors were familiar. Yet fraudulent scientists have gained millions of pounds by taking selective samples of natural climate change, whipping up a Grande Peur and using it to advance the cause of world government, state control and fiscal despoliation of citizens. 2010 should be the year when all that ends. It is time for Zero Tolerance of AGW fraudsters and their political masters. It is time to say: Green taxes? We won’t pay them. THE REAL GLOBAL WARMING DISASTER!!!!!!!! CHRISTOPHER BOOKER IS VERY RIGHT. I am not sure that in Canada we have "ANY" political party that does not support the AGW agenda! I will do my best to search one out so that I can support them and try to get their message out. Frednitey, check out the BC Reform Party! They even use the slogan "We Love CO2".